As might be expected from the famously generous Minnesotans, there’s no need to worry about organizing your own transportation, as the hotel provides complimentary shuttle service to Minneapolis-St. Paul International Airport as well as one of the country’s biggest tourist attractions, the enormous Mall of America. For those who prefer the great outdoors to retail therapy, there’s the nearby Hyland Lake Park Reserve with nature and adventures to experience in all four seasons. Blues, rock, punk or funk is played 7 nights a week at this cozy proud-to-be dive bar. Despite the near-non-stop nightly music schedule they boast, Driftwood Char Bar is one of those establishments you could pass by 100 times and never give it a second look, which is probably how a lot of regulars like it. Even so, the atmosphere remains welcoming to all, boasting an eclectic gathering of different types of people, including Renaissance Discoverers on any given night! Locally-sourced apparel and playfully-sassy gifts decorate the walls of this quaint shop. 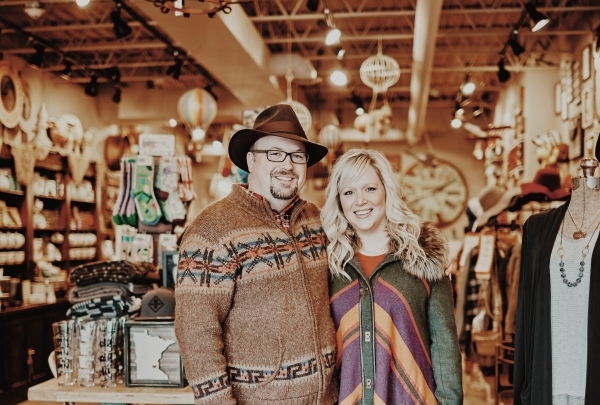 Owned and operated by a team of three (Rena; her husband, Matt; and their cuddly shop-dog, Buddy), Burlap & Brass is rustic, cozy, playful and inviting. After working in retail for a few years, Rena caught the bug and decided to give things a go for herself. She vowed to feature as many local items as she could, joking, "Every time you buy from Amazon, an angel loses its wings." 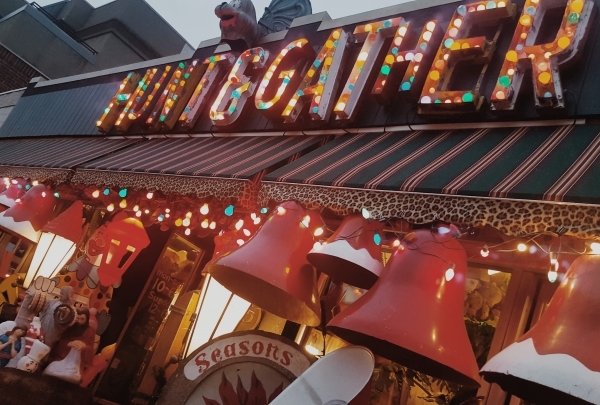 The name of this gathering place sounds weird until you find out it's housed in an old gas station and repair shop. 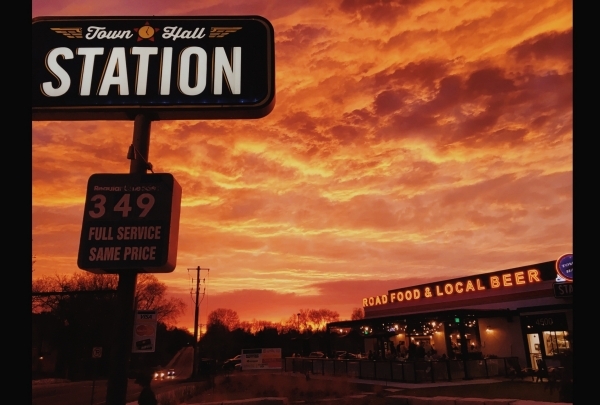 Co-owned by local restaurateur and brewer, Pete Rifakes, Town Hall Station is notable for two interesting reasons: First, Town Hall Station proudly serves beer brewed at Town Hall Brewery, which is Rifakes and co's original feather in their collective entrepreneurial cap. Second, this location, their fourth to date, is housed in what was once a 1950's auto service station, named Wally's! 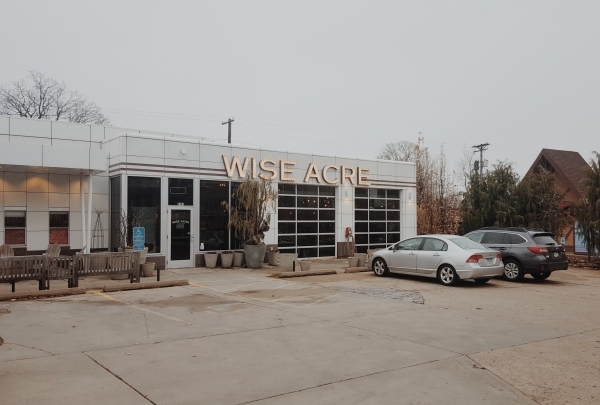 If sustainably sourcing ingredients were a college course, Wise Acre Eatery would undoubtedly be the professor. When childhood friends Scott and Dean reunited in adulthood, they knew it would make for something special. After opening up a landscaping shop and supplementing their income by selling produce from Dean's family farm, the two got an idea: Why not open an eatery and become their own suppliers? So they acquired an old Standard Oil auto shop across the street and repurposed it to suit their needs. 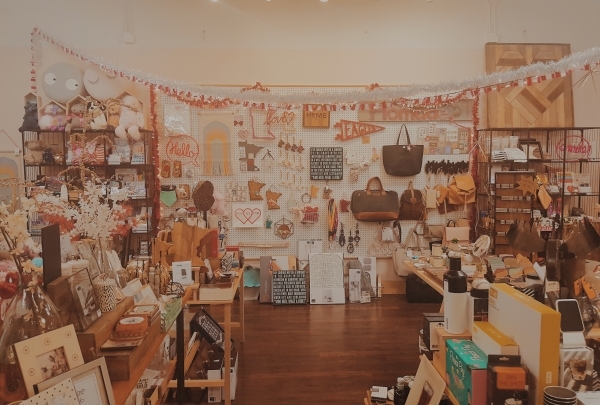 Handmade jewelry and decor crafted by local artists and a lovely selection of candy are some of the finds at Homade. Homade is not just a gift shop featuring home decor, trinkets, candy and the work of both local and national artists--it's a representation of co-owner, Sandra Peterson, taking the age-old advice of doing something you love, so you won't work a day in your life. That is to say, Sandra is just one of the many local artists whose work is sold in the store she created, from a passion deep inside. 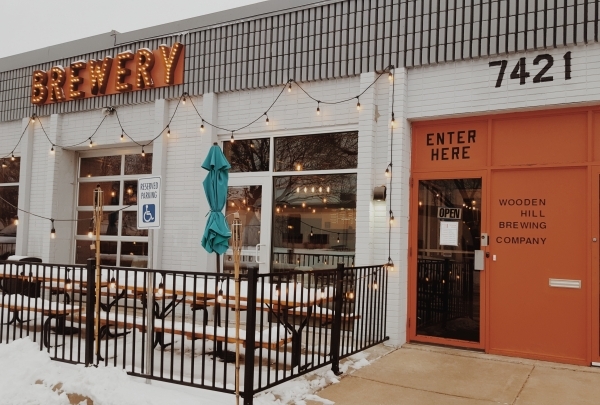 The first-ever brewery in Edina has craft beer to cool your soul, and a story behind their name that'll warm your heart. Though brothers/co-owners James and Sean live on two humorously-juxtaposed poles of the country (Florida and Minnesota! ), they remain as close as ever with their passion for craft beer, sustainability and honoring the family name. With good bar eats served on recyclable bamboo plates, creatively-named brews and a story behind their selected title (be sure to ask! ), one simply can't go wrong here. 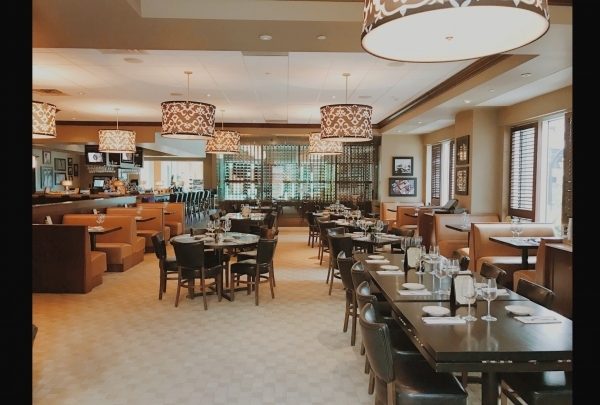 Like a pearl nestled in an oyster, this posh sushi/hibachi spot lies hidden in the lobby of a nearby office tower. Helmed by Nathan and Coco, a husband-wife team who emigrated from China 10 years ago, this fancy sushi and hibachi spot is one of Bloomington's best-kept secrets. Only a hop, skip and a jump away from the Renaissance lobby, this spot is simply too good to pass up, even during a Minnesota winter! Gain a deeper appreciation for the smartphone in your pocket at this museum of electronic communication devices. As history has shown, museum co-founder, Joe Pavek, was somewhat of a pack-rat, and thousands of museum-goers are ever-so-thankful he was! 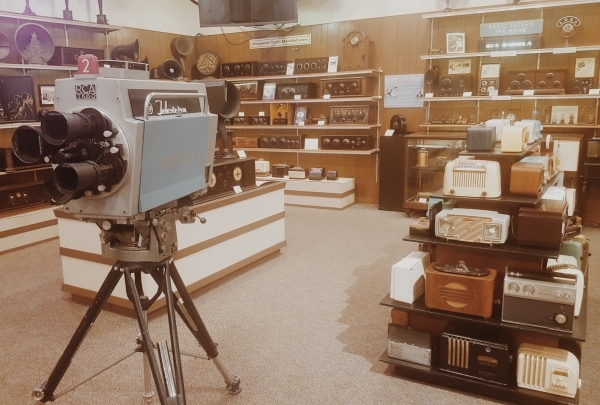 His journey of the collection began in 1946, when, as an electronics instructor at a nearby college, he decided to save two radios from dissection by his students. A few hundred items later, Medtronic co-founder, Earl Bakken, helped Pavek open up his museum. "Zany," "eclectic," and, "just plain weird," are all apt descriptions of this one-of-a-kind variety shop. Set one foot into Hunt & Gather, and you'll immediately have a feeling you're not in Kansas anymore. With its mishmash of random oddities, you'll have questions galore, though you'll probably be hard-pressed to get anything more than a few imprecise words of clarification out of the owner, Christine--which only further adds to the curious nature of the place. 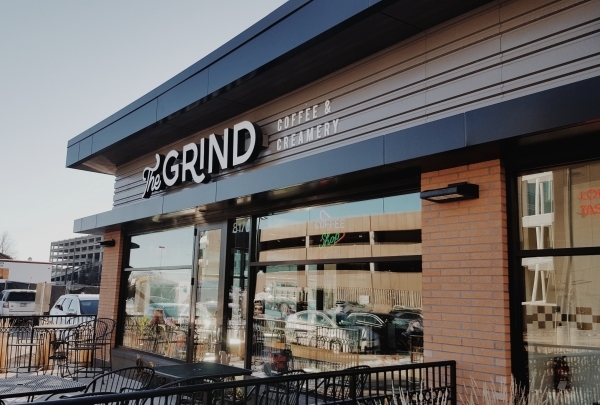 Made-to-order specialty donuts make this coffee spot a must-stop-shop, even for a rumored Minnesota Viking or two. The main goodness of The Grind (that is, their luscious donuts) began not as a novel idea, but as one of necessity. After a Dunkin Donuts moved dangerously close to their original location in New Hope, the family-owned shop did what they had to do to survive--and thrive! After the owner of the AC Hotel in Bloomington recognized the shop's unique nature, he invited them to more peaceful grounds. This hip gastropub features some of the tastiest burgers, as well as, best beer and wine selections in Minneapolis. 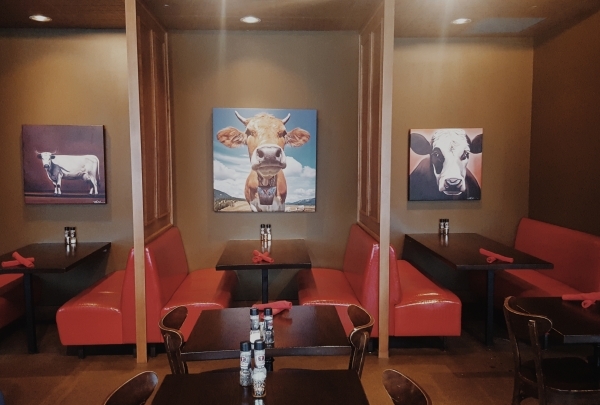 After experiencing the seamless execution and all-around loveliness of "The Cow," one might find it hard to believe that this business is the manifestation of one family's pipe dream to make it in the restaurant industry. After years of sitting around the dinner table playing the "What kind of restaurant would you open?" game, the family of four took the plunge and hasn't looked back. Adventurously ascend your way to the foot of this Olympic-sized ski jump to enjoy some of the best views around. 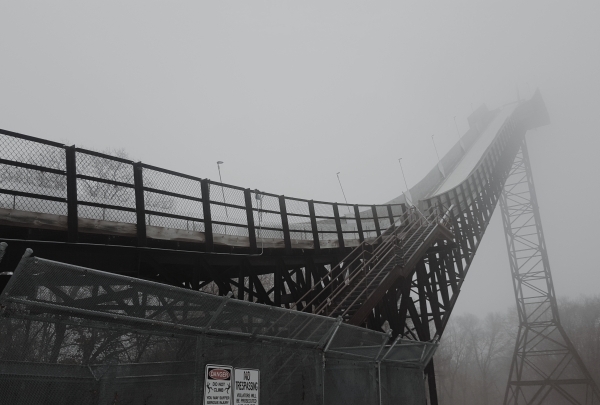 Quietly looming over Bloomington like a beacon for snow-sport enthusiasts, the Bush Lake Ski Jump is a mighty and immediate attention-grabber just begging to be explored. So go ahead, Renaissance Discoverers. Give in to your curiosities, make your way over, and have fun. This family-owned fun zone was a forerunner of the escape room craze in the Twin Cities. 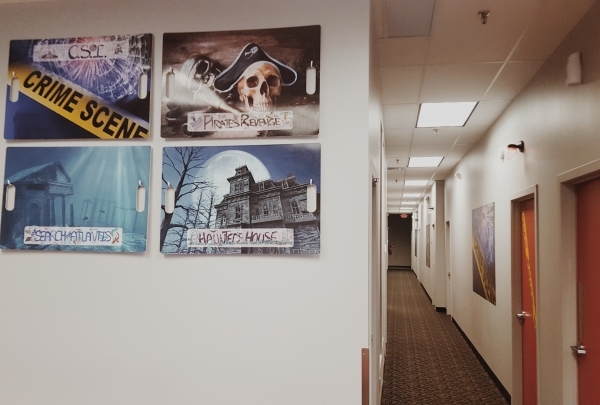 Three years ago, when Escape Frenzy co-owner, Dorian, and her husband began looking for an activity the whole family could enjoy, they never imagined it would change their lives. 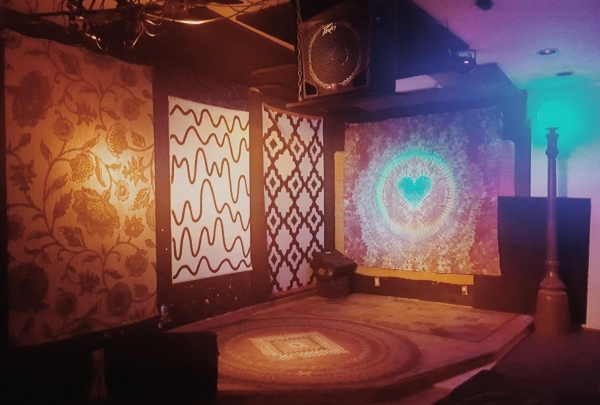 After falling in love with the escape room concept, the couple separately (and unknowingly) both began toying with the idea of opening up a place of their own--which was the spark they needed to move forward, together. 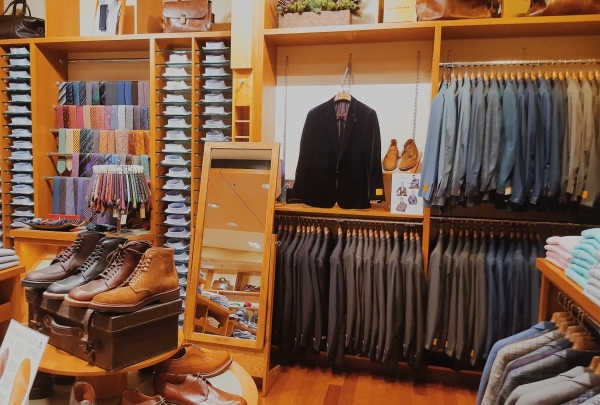 Sophisticated, exclusive attire and a story dating back to the early 1900's make this men's fashion store a stand out. When Scott Dayton opened up Twill in 2004, he felt he had a bit more riding on his shoulders than most people might. Being a distant relative to the entrepreneurs who founded the famed Dayton's department store chain (eventual creators of Target), Scott has sought to start his own chapter in the history of retail--and he's taking it slowly and calculatedly, one quality step at a time. With over 100 different types of agave spirits, and a slew of N/A drinks, Barrio promises something for everyone. 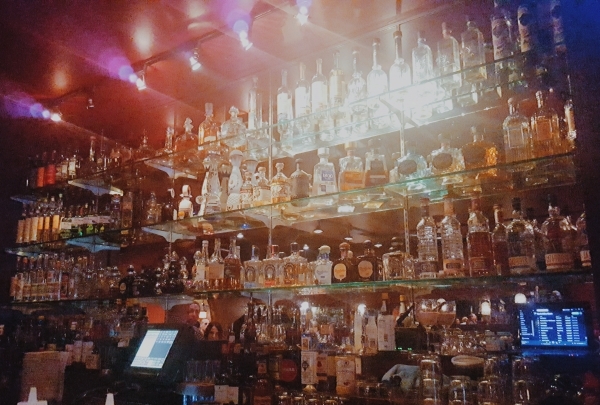 A true destination for tequila-lovers, Barrio boasts over 100 different types of agave spirits. Why so many choices? It probably has something to do with the attention to detail and passion exuded by owner, Ryan Burnet, who, in addition to founding multiple boutique restaurants, is also responsible for creating a youth boxing gym in one of the state's most underprivileged areas. Let the authentic Mexican tacos and attached marketplace of Andale Taqueria add a touch of culture to your day. Owned by Fernando Mellado and Jorge Robles, Andale Taqueria is a testament to the spirit of the two men. After establishing two nearby Latino grocery stores, the duo decided to open a combo marketplace/taco stand- even when funding it proved difficult. 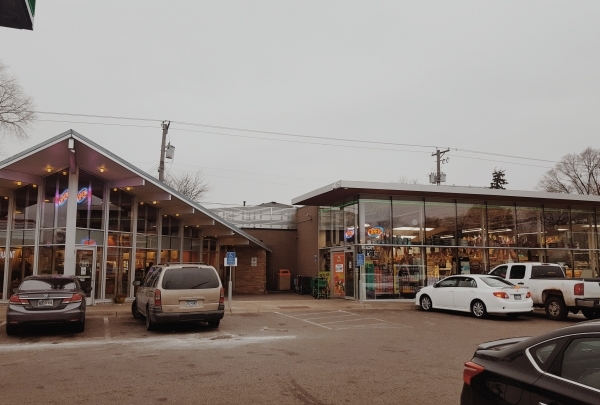 After finding a vacant restaurant plot, they convinced a developer to partner up, build an adjacent building, and see their dreams to fruition.